Links provided in this post may be from affiliate programs which earns My Memphis Mommy a small commission. Thanks for clicking! 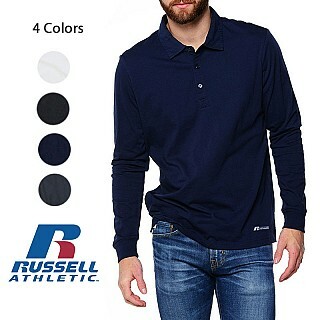 Right now this 4 Pack of Russell Men's Moisture Wicking Dri-Power Long Sleeve Polos are as low as $26.96 when you buy 2 or more! That's just $6.99 per polo! Shipping is FREE on this offer. I am loving these Trendy Football Tees now just $13.99 (Reg. $28.99)! Are you ready for some football?! Grab one of these adorable V-neck Bella unisex tees for the big game! Unisex tees, size Small to 2XL. $3.99 for the first item and $1.99 for each additional item. US only. Ships no later than Mon, Sep 10. Wow! Today at Old Navy you have several great ways to save! Right now get 20% off any amount or 30% off $75 or more when you use code ENJOY at checkout! Bonus: Kids Jeans are just $6 and you can save 50% Off Select Athletic Apparel (extra 20% off does not apply to these deals)! Shipping is FREE on orders of $50+. Coupon and Kid Jeans valid 8/25 only. Restrictions: 30% off $75 or more or 20% off any amount: Offer valid on Old Navy merchandise only from 8/25/18 at 12:01 am ET through 8/25/18 at 11:59 pm ET in the U.S. (including Puerto Rico) at Old Navy online at oldnavy.gap.com. Not valid at Old Navy stores. Offer not valid on Hot Deal, Today Only Deal, 2 Days Only Deal, Best Seller, Hi, I'm New, Licensed Product, Jewelry, and Beauty merchandise. Not valid on international purchases. Qualifying amount applies to merchandise only, not value of gift cards purchased, packaging, applicable taxes or shipping & handling charges. No adjustments on previous purchases. Not valid for cash or cash equivalent. Cannot be combined with other offers or discounts including Gap Inc. employee discount. Gap Inc. is not responsible for lost or stolen coupons. Today only (8/25) this Sound+Sleep SE Special Edition High-Fidelity Sleep Sound Machine is just $62.99 (Reg. $110.99)! 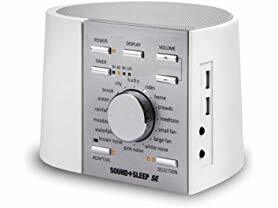 Sound+Sleep SE is the world's most advanced sound machine to help you sleep better. This special edition model starts with all the features of the original Sound+Sleep, and adds even more natural unique sound profiles like ocean, rain, meadow, waterfall, plus all the white noise and fan sounds from the best-selling LectroFan sound machines. There's also a 3.5mm audio input for enjoying music on the high-fidelity speaker, and audio output for headphones. Also, for the first time the Sound+Sleep SE features two USB charging ports so all your devices can be charged quickly and ready to go! Shipping is FREE for Amazon Prime Members or only $5 flat rate. 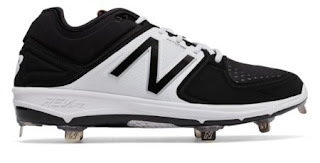 Today ONLY - Men's New Balance Metal Baseball Cleats ONLY $29.99 (Retail $94.99). Go all out in the most comfortable and thoughtfully designed cleat in the game. The durable 3000 cleat features lightweight REVlite cushioning that helps you stay comfortable through extra innings. And the custom midsole/insert platform helps give you more cushioning in the heel. Plus, the collar design provides comfort and support whether you're at a full sprint or standing still. Described as "a running shoe on spikes," the 3000v3 incorporates REVlite foam for comfort close to the foot. The upper mixes an innovative combo of materials to provide support, breathability and protection. $1 Shipping with the coupon code DOLLARSHIP at checkout. 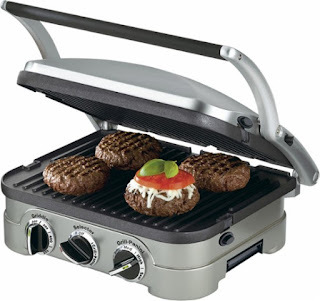 Snag this *HIGHLY RATED* Cuisinart - Griddler Stainless Steel 4-in-1 Grill/Griddle and Panini Press ONLY $39.99 (Retail $79.99). Make quick and easy meals four different ways with this versatile grilling machine. The reversible grilling plates allow you to cook breakfast meats on the grill while you're also making pancakes on the griddle. 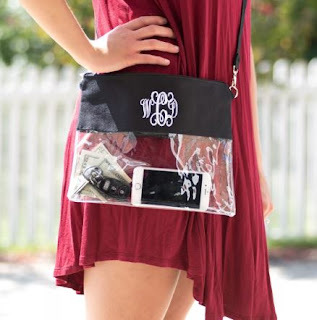 In case you missed it last time - Monogrammed Clear Bags for ONLY $12.99 (Retail $29.99)! Our Monogrammed Clear Stadium Bags are the best gameday accessory! Creating the perfect match to your game day outfit is easy, with accent oxford cloth available in five team colors, and 16 gameday thread colors. They can also be carried as a crossbody or a wristlet. Designed to conform to most stadium policies, these bags are made with a clear PVC waterproof material. Finally, a super cute bag you can take with you to the game! 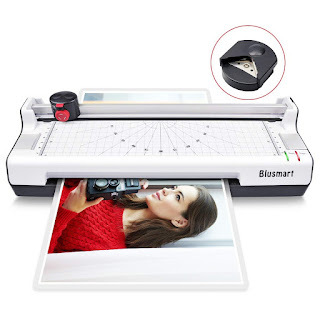 Today ONLY, this 4 in 1 Blusmart Laminator for $34.45 (Retail $45.99). 🔥Laminator, corner rounder, rotary trimmer with straight, perforated and wave cutting styles. 🔥Hot &amp; cold modes fulfill different needs, use self-adhesive pouches for cold laminating only. 🔥Plug in, wait for 3-5min preheating, and enjoy amazing laminating speed of 250mm/min. 🔥Laminates in 160mic(2 x 80mic) - 250mic(2 x 125mic) pouches with 230mm throat entry. 🔥Comes with 10pcs free laminating pouches and paper jam prevention design. *Prices can change at anytime! I try to update the calendar frequently, but please call ahead to confirm the Kids Eat Free promotions are still valid as these offers can change. Have a Kids Eat Free deal you want to add? Send it to mymemphismommy@gmail.com.